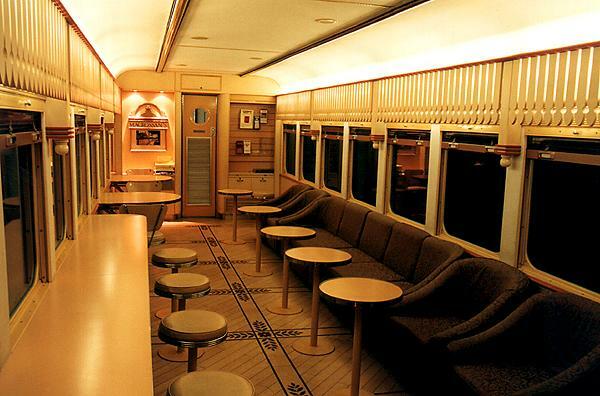 The GSPE observation car is lavishly appointed, seen here during its Canberra layover. Breakfast in the Warrego Grill on the Westlander whilst descending the Toowoomba Range. The Macrossans Bar on the Sunlander on September 28th, 1998. 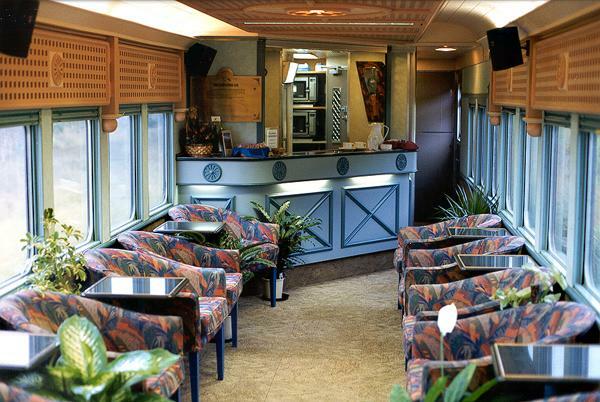 The Canecutters Bar on the Queenslander on April 27th, 1999. 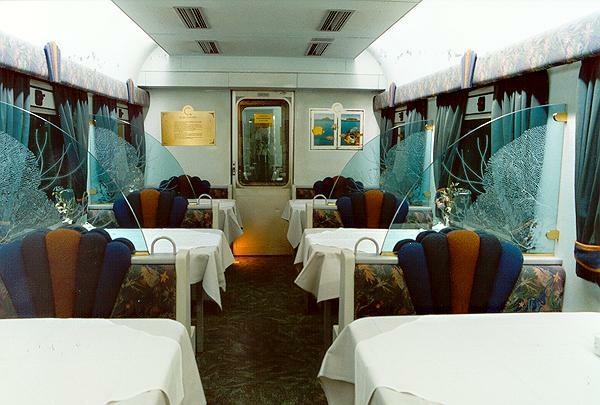 The Coral Cay Restaurant on the Queenslander on April 27th, 1999.